Soft striped fur and wiggly whiskers adorn this adorable kitten. 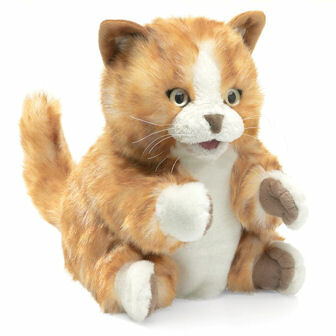 Animate the legs and head of this little cat puppet to make her pounce and preen. But be careful--she'll hold onto whatever she can grab and that might just be you!